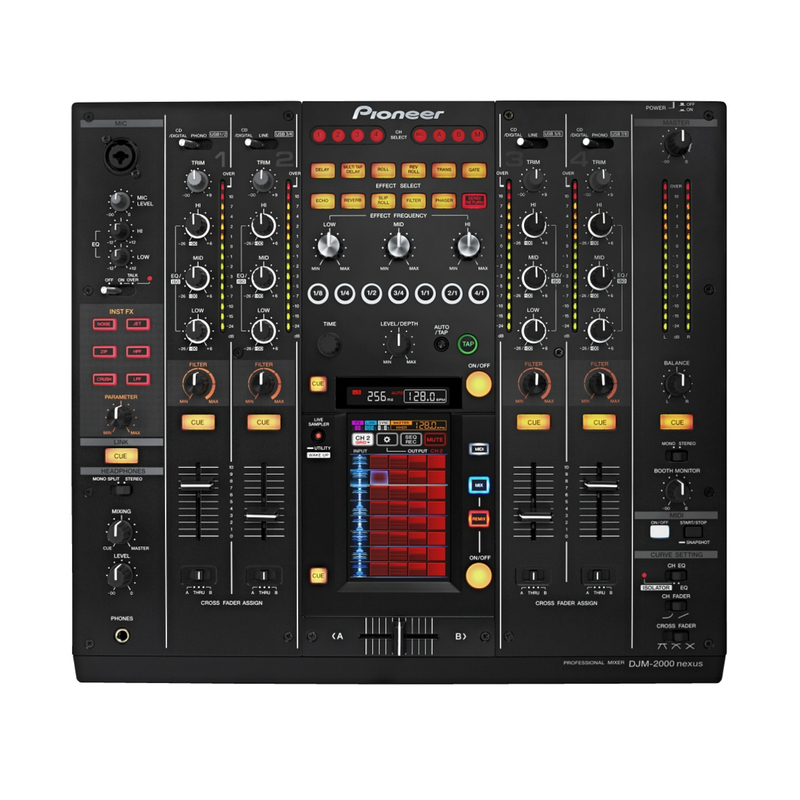 A first in the audio mixer industry, the Pioneer DJM-2000 incorporates a full-color 5.8″ LCD multitouch panel for adding audio effects. Users can simultaneously manipulate the displayed controls on the panel by touching different areas of the screen. Three different performance modes are available including: Frequency mix – Enables more precise mixing within seven frequency ranges. For example, users can enhance the bass region within the music they’re mixing. 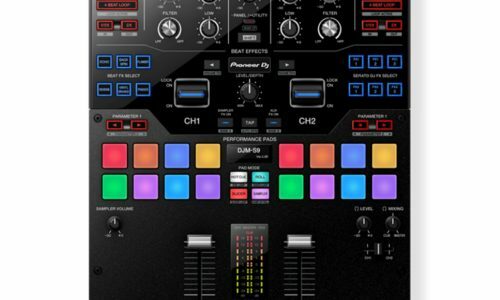 Sidechain remix – DJs can create seven different dynamic audio effects with touches and movements on the screen. MIDI mode – Allows the user to assign various controls displayed on the LCD screen to control DJ software via MIDI. Four types of MIDI modes are available for more performance flexibility. 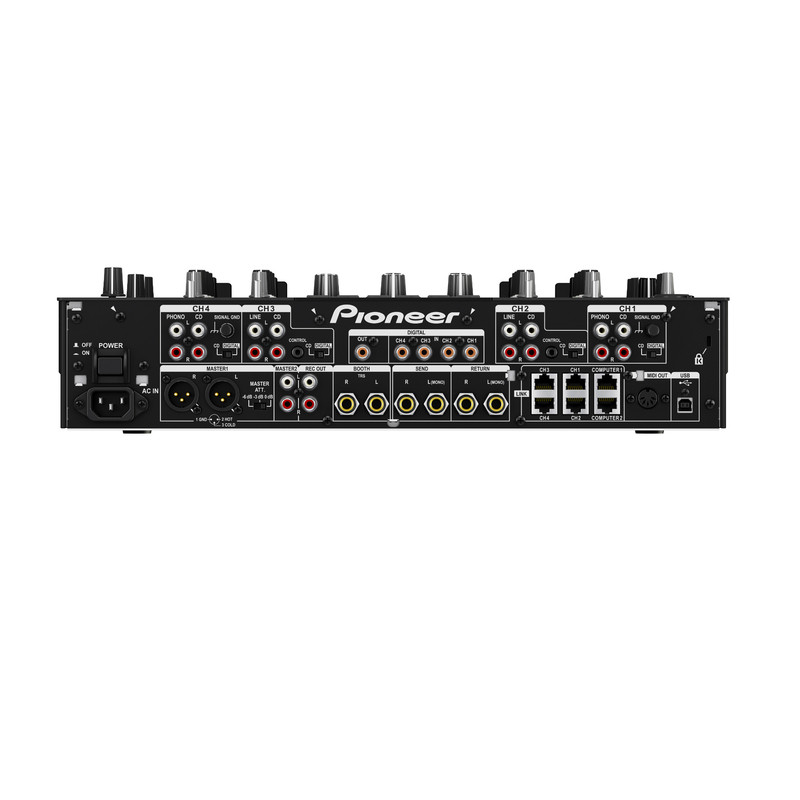 When used specifically with Pioneer’s CDJ-2000 or CDJ-900 turntables via Pro DJ Link, the DJM-2000 becomes an even more powerful musical tool. 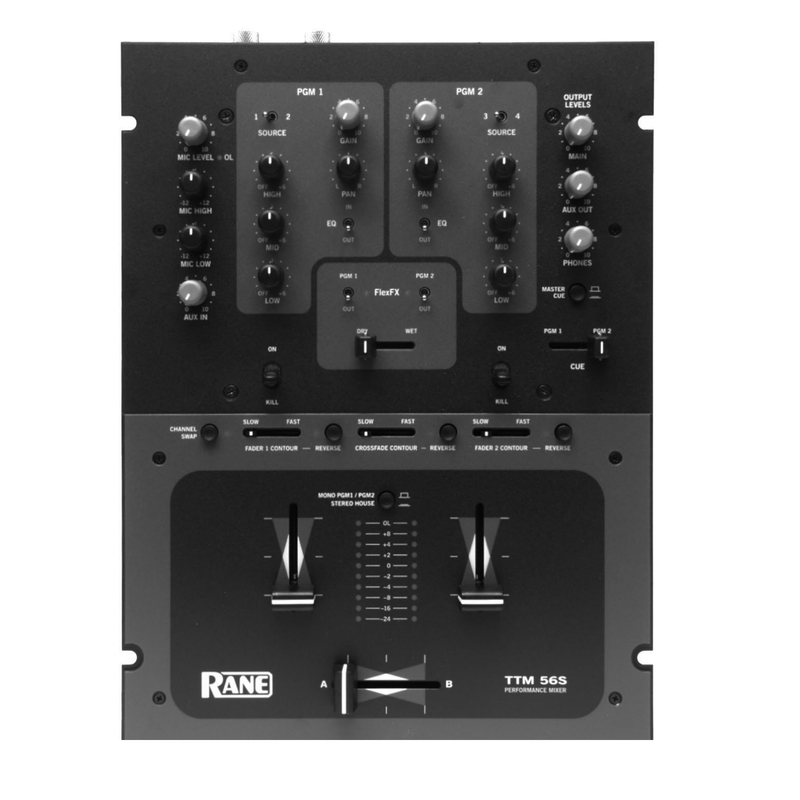 The mixer incorporates four Ethernet ports in the back of the unit allowing up to four of the most recent CDJ turntables to be connected (via LAN cables) while sharing only one music-filled SD card or USB storage device. 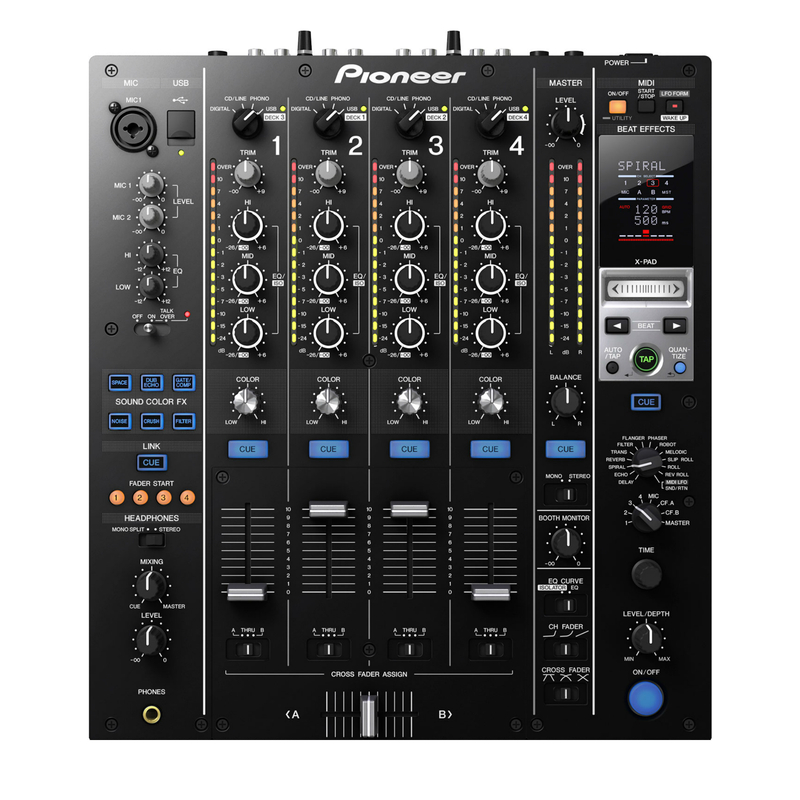 In addition, up to two laptop computers pre-installed with Pioneer’s music management software rekordbox can be interfaced with the DJM-2000 via LAN cables, in cases that two DJs are transitioning for their individual performances. A cool feature of the DJM-2000 is its Live Sampler capability which allows the sound from a microphone or from the MASTER output to be recorded directly into the mixer. 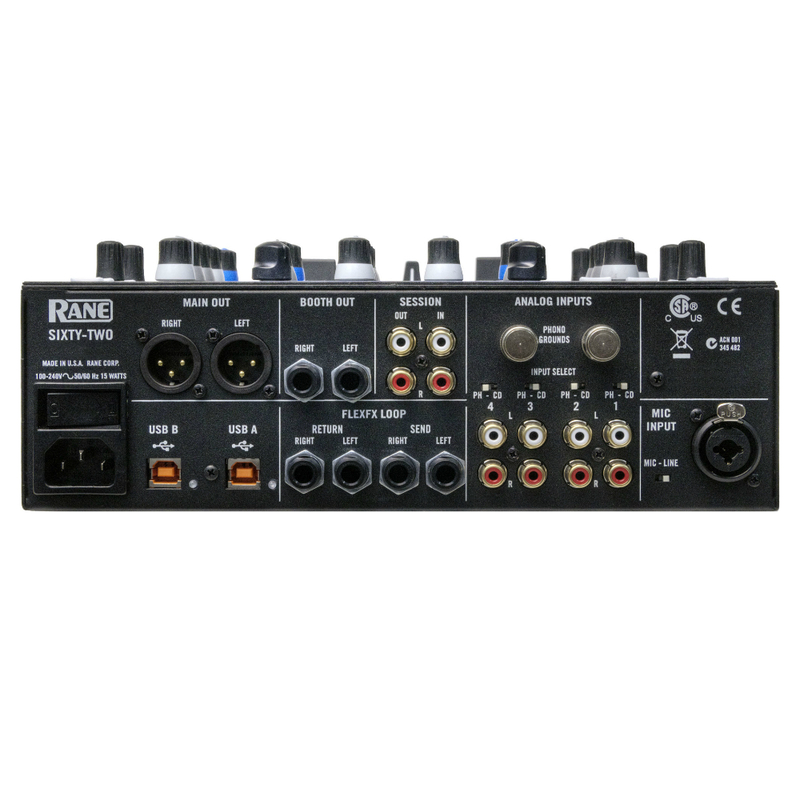 The “sampled” sound can instantly be transferred via LAN cable to a CDJ-2000/900 for scratching.